A leg ulceration is a common, chronic, reoccurring condition. The majority of leg ulcers are due to venous and/or arterial disease. 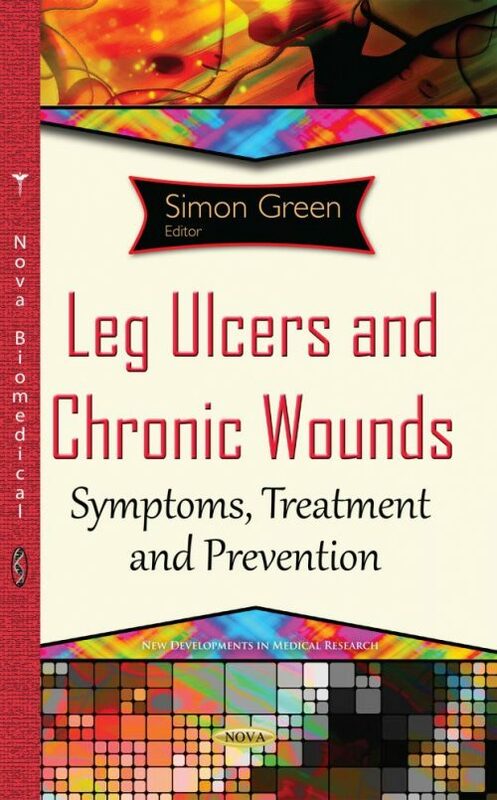 In this book, the future trends in the management of leg ulcers are discussed. The prognostic factors and risk factors are examined as well. Other chapters present a review on the impact of drugs commonly prescribed in clinical practices, and discuss their beneficial or detrimental role in chronic leg ulcers; a papain-based gel for the treatment of leg ulcers (papain is known for treating wounds of various etiologies and in several healing stages); compression therapy and ultrasound as therapy for leg ulcer treatment; an examination of the main antibiotics and antiseptics that are available for the therapeutic management of chronic leg ulcers, chronic wounds and the limitations of their use; and finally, the chapter provides the readers with a modulation of the foreign body response to treat chronic wounds.